This is a version where you make the bread from scratch and combine all its flavors already in the dough. Preheat the oven to 350°F. Note: Increase oven temperature to 375°F at least 20 minutes before baking the bread. Separate each garlic clove, toss 2 tablespoons of olive oil, and put in a baking dish. Cover the baking dish with foil and bake for 25 minutes or more. Next, remove the foil and bake again until the cloves are soft and creamy. Set aside and let them cool for a few minutes. Once the baked garlic cloves are cool enough to touch, peel the skins and set aside. Mix the yeast with 1/2 cup of warm water. Let it stand for a few minutes, about 3 to 5. Once the mixture turns a bit chalky, pour the rest of the water and stir. Gradually add the flour and salt, mixing all the while. Make sure to watch the dough as you add the flour so you don't end up adding too much. Putting too much flour could make your bread tough. Knead the dough for 5 to 10 minutes until it smoothens out. Put the dough in a bowl, add a spoon or so of extra virgin olive oil, cover the bowl, and set aside. Let it rise for 1 hour or 1 hour and a half until it's doubled in size. Once the dough has risen, punch and knead it again on a flour covered surface for a minute or so. Randomly add the previously baked garlic cloves in the dough as you gently knead it. Put the dough on a baking pan with paper. Cover and let it rise for 45 minutes. Slash the top of the dough in a few places before you put it in the oven. Bake until golden brown. Something that you typically get with a plate of pasta, garlic bread is among the most popular baked goodies associated with Italian cuisine. You eat it along with your pasta, or save it to wipe clean with the delicious leftover sauce on your plate later. Or you can be a rebel and eat it all by its scrumptious self. Whichever way you munch it, one thing is for sure, a plate of spaghetti or lasagna alla bolognese wouldn’t be complete without it. But do you know that it’s quite easy to learn how to make homemade garlic bread? Now, what is garlic bread? Well, surely, you don’t need to have that answered, right? Unless you have been living in a remote deserted island, under a rock, or you’re a vampire in denial for fear of its main ingredient’s very existence, you’d know exactly what this tasty bread is. And if you are fond of any version of a pasta dish, then you have most probably munched on it before. So how do you make garlic bread? Well, you’re in luck because Nonna Box has the perfect homemade garlic bread recipe below for you. You can make these flavorful toasts with almost any baked bread. Some prefer to use ciabatta, others use focaccia loaves, while others still use baguette slices. 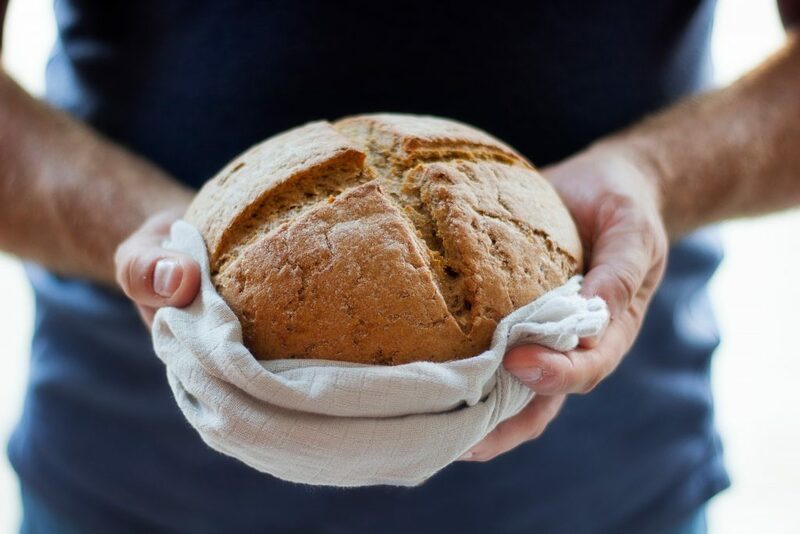 For this recipe, you can choose to use a loaf of Authentic Italian bread, which we have previously posted about (as luck would have it). But if you prefer, you could also make the bread from scratch. (Who doesn’t like freshly baked bread, right?) So, shall we begin? You can also opt to add Parmesan cheese to the topping for a Cheesy Garlic Bread version. Either way, you will be munching on some very yummy bread slices. Now, if you are pressed for time, however, you can take a short cut, of sorts. 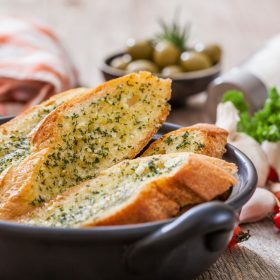 How to make homemade garlic bread timesaver version? Just get yourself some Italian bread (as we’ve mentioned above), prepare the garlic and other herbs, assemble, and toast the bread slices. For specific instructions, refer to the recipe here. 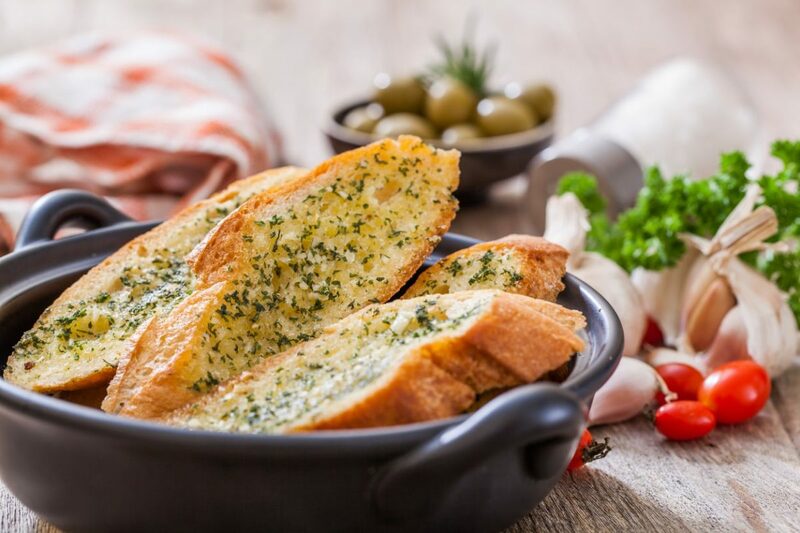 Aside from actually baking or preparing the bread, you can also just prepare the “toppings” of garlic bread beforehand, store it in the fridge or in a sealed container, and just use some whenever you get the craving for some garlic bread. This seasoning can actually be purchased in supermarket and online stores. However, as with most food stuff, it’s always better to make your own. Don’t you agree? This way you know what’s in your homemade garlic bread and you can even experiment, if you want. Now, for the classic homemade garlic bread seasoning, below are the things you’d need. Here’s the garlic seasoning recipe. To make garlic bread with it, mix the seasoning with butter and spread it on bread. Then toast the bread until golden brown. Yet another version to making homemade garlic bread is to just use any crusty bread, spread garlic butter on top of it, and toast them in an oven. How to make garlic butter? Follow the steps here. This garlic butter can now be used as a spread on slices of French or Italian bread. Don’t worry if there are any leftovers because you can keep it in the fridge and use it later. 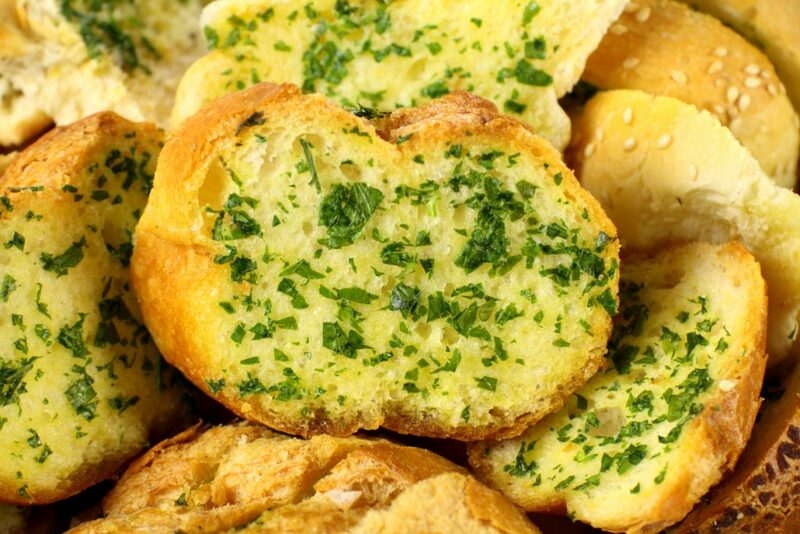 Now, where did garlic bread really come from? Well, as with many food origin stories, there is some debate as to how garlic bread came about. One theory is that it originated from Persia around 500 BC. The story is that the invention was the brainchild of Persian soldiers, who were also bakers. Basis for this theory is the same one that claims the earliest pizzas were created, and eaten, by the Persian army in the 5th or 6th century. Another more popular theory is that garlic bread is a modified version of the traditional bruschetta [brus-ket-ta] brought to the United States by Italian immigrants. Well, whichever of the stories may be the true origin of this delicious bread, the fact is garlic has been cultivated in southern Europe for millennia. Although considered to be a native plant from the Central and South Asia, as well as southwestern Siberia, oldest recorded history of the crop was found in Egypt, Rome, Greece, India, and China. 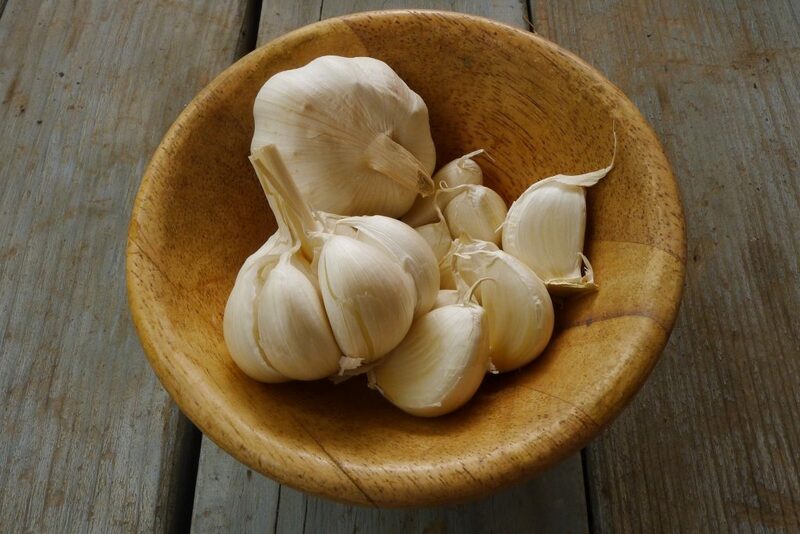 And in most ancient texts, mention of garlic was not tied to the culinary arts, but more on medical applications. It was in ancient Chinese and Japanese texts that there was mention of garlic used as a food preservative. Also, bread making has been considered one of the focal points to the birth of many ancient civilizations. As a matter of fact, historians theorize that bread making is at least 30,000 years. According to a study by the National Academy of Sciences, definite traces of crushed starch in prehistoric tools such as mortar and pestles have been discovered. This means that man has been making and consuming some version of bread even before the beginning of recorded history. 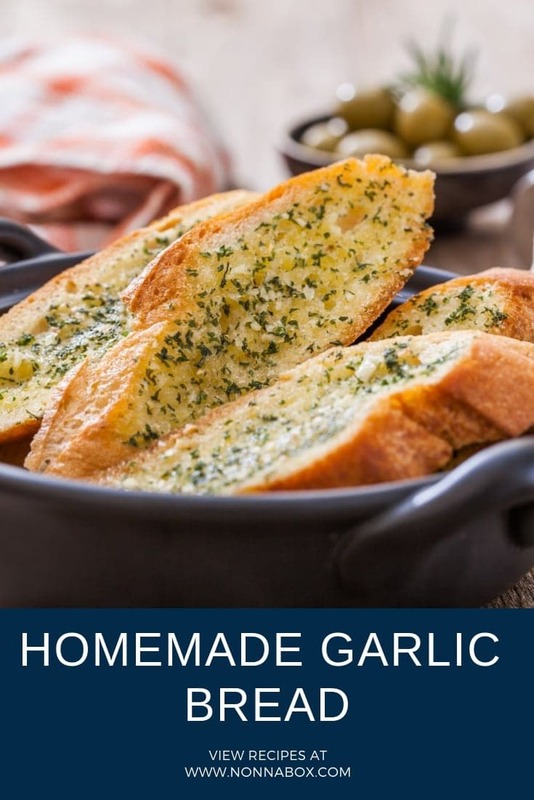 So since bread is one of the oldest food in human history, and garlic has been cultivated in the south of Europe for thousands of years, it was only inevitable that the two would be brought together in some form or fashion. Don’t you think? After all, eating is one activity that all humans on earth share… and it can’t be denied that human innovation certainly extends to the palate. Recipes for garlic toasts and garlic butter caught my attention. now I can serve pasta like fancy restaurants do.